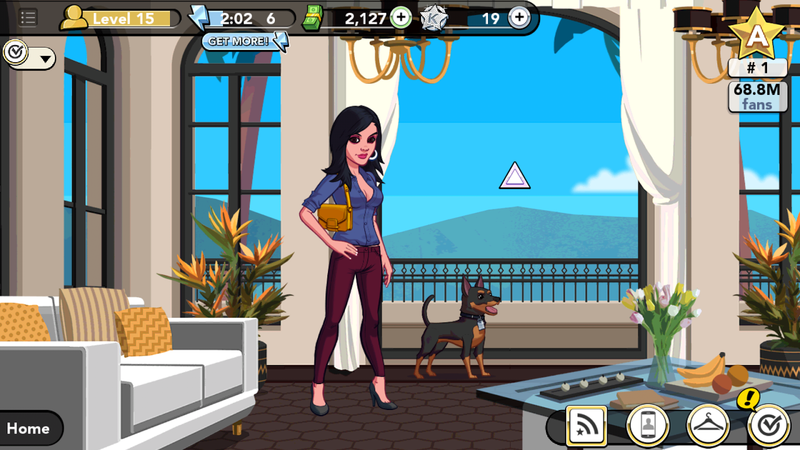 A GAMER'S WIFE: Why Am I Still Playing the Kim Kardashian: Hollywood App? 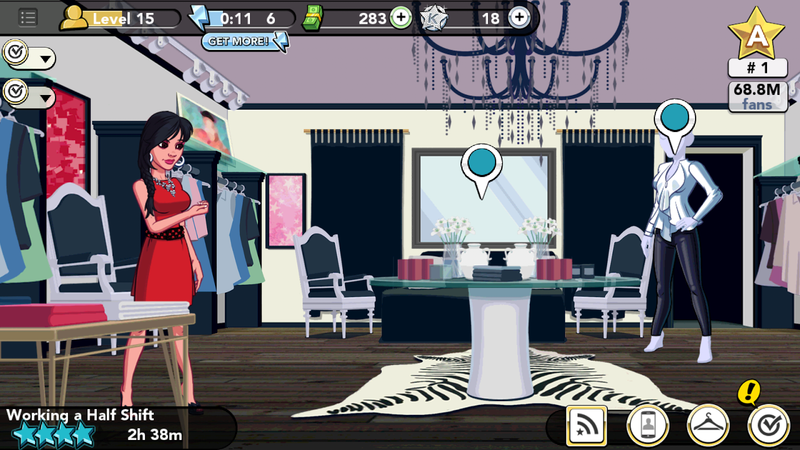 Why Am I Still Playing the Kim Kardashian: Hollywood App? How can working a pretend retail job even be remotely interesting? Hilariously enough, it's become one of the most-downloaded and highest-rated free games on iTunes, so I'm apparently not the only one caught up in its addictiveness. They've definitely got the balance right because the #1 complaint in the reviews is how slowly your character's energy level refills, which of course compels people to spend real-world money (even up to $500 in some cases). Given that I'm not willing to let go of a single cent, I've found that the best way to play this game is in frequent, little bursts rather than continuously for long periods of time. Using that method, I was able to easily reach the #1 A-lister position within just a couple of weeks of free play. If that's the primary goal of the game, then why am I still playing? It's mindless, meaningless button-pushing with no apparent end. Well...first off, there are pets. You can't do much with them besides pet them to get energy points, etc. but they exist and therefore must be claimed. I don't even like Miniature Pinschers but... must have! There are also boyfriends to date. They're kinda whiny and get mad if you don't see them at least once a day, but I'm curious to see what will happen if I continue "leveling up" our relationship. I've seen forum talk that given enough time, they may give you the keys to their apartment or even propose to you. So the mystery keeps me going. But really, the main reason I play is because... it's a form of wish fulfillment. My character basically allows me to play dress-up with an electronic paper doll by clothing her in lavish outfits and glamorous makeup. I play Simpsons Tapped Out. There. Now you know my shame. 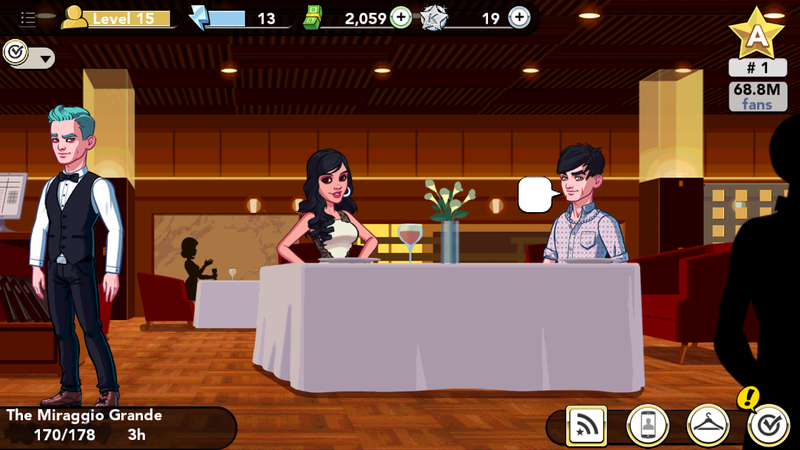 Umm, does the Kardashian game have an Android version? I'm um, asking for a friend.